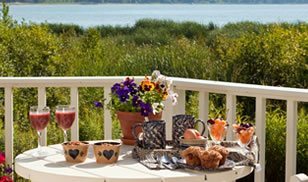 Nestled on the shore of Lake Michigan in the tranquil village of Baileys Harbor, Wisconsin; the Blacksmith Inn On the Shore graciously melds contemporary amenities with bed and breakfast charm. Relax and unwind in a delectably private guest room at our Door County B&B. Each of our fifteen guest rooms offers a fireplace, in-room whirlpool, private balcony and a captivating harbor view. Embrace the serenity of Door County by hiking, biking, strolling and kayaking from our Door County inn. Or immerse yourself in the abundance of the Door Peninsula with lighthouses, theater venues, music festivals, unique gift shops, art galleries, a wealth of dining experiences, wineries and miles and miles of shoreline. 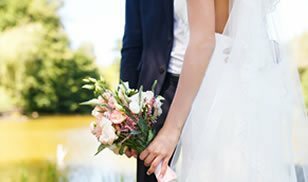 Our local knowledge of Door County is sure to enhance your romantic escape. Relaxation and romance are yours at the Blacksmith Inn on the Shore, centrally located lodging in the heart of Door County.